A bib necklace is one composed of several strands of beads or gemstones that hang in a bib shape. Bib necklaces can also be a fringe or collar style necklace evoking a bib-like shape. 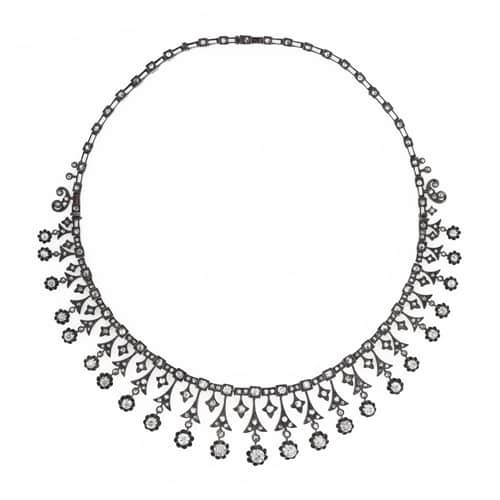 French 19th Century Diamond Bib Necklace.